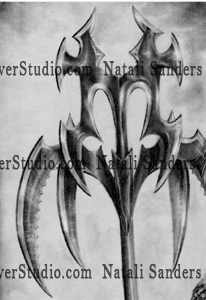 In 2009 I drew, "Warrior," with mechanical pencil on standard 11x17 paper stock. Warrior on a battlefield. 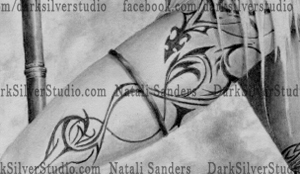 At this time I was really into tribal tattoos, creating my own weapons, drawing strong women, and skulls. 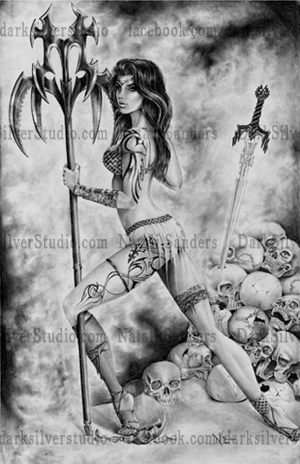 For this drawing I didn't have much of a story put together other than I wanted to show a strong woman.